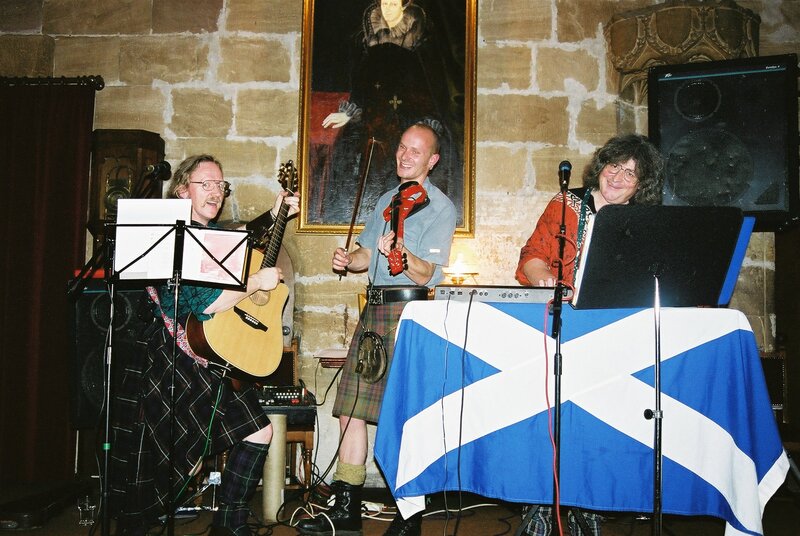 Photograph taken and supplied by the newly weds Robert and Wendy Lague from Canada when we performed at their Celtic Wedding in Borthwick Castle in Scotland Our Celtic Wedding Band have also played the more famous Castles of Edinburgh and Stirling. At your Celtic Wedding reception we can pipe the groom and bride and families into their seats. We can play background Wedding music quietly during the meals. 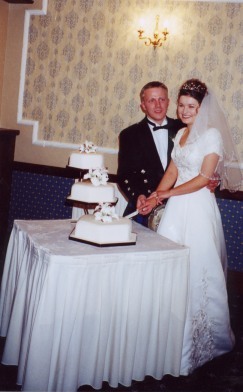 During the cutting of the cake you can have fiddle,whistle or bagpipes playing Celtic Wedding Music. Then Celtic Wedding Band can perform for you after the meal and get the celebrations rolling!